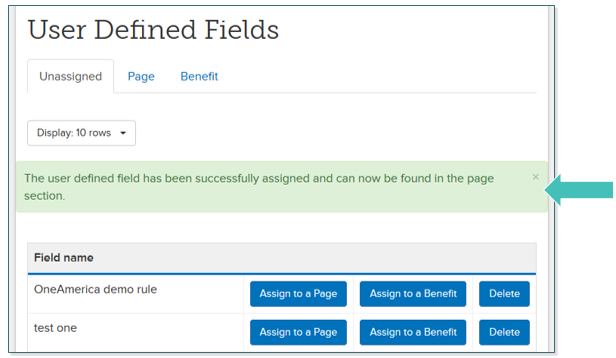 Log into benefitsCONNECT first and create the User Defined Fields. Please see https://release-notes.readme.io/v1.0/docs/user-defined-fields for instructions. TIP: benefitsCONNECT® and bCEnroll communicate with one another. It is important that the initiation of the UDF (User Defined Field), be captured in benefitsCONNECT® first. 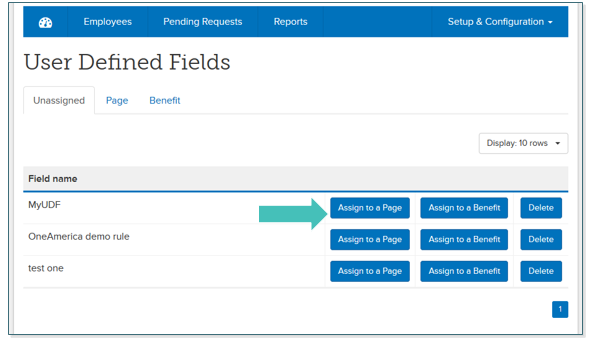 This will mitigate any improper field mapping due to elements that may not be supported within either applications. Click on Setup & Configuration, and from the drop-down menu select User Defined Fields. 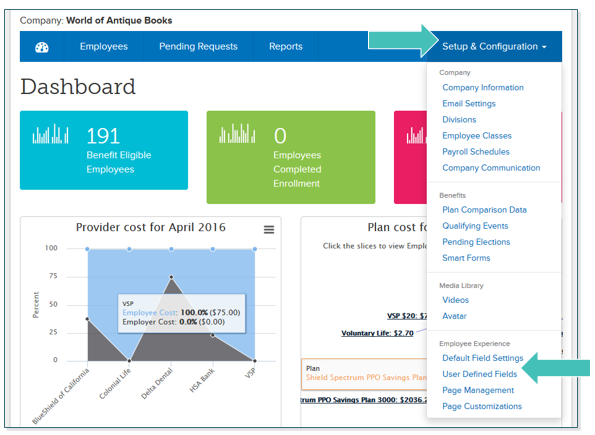 Select the assign button according to your business needs. Assign to a Page or Assign to a Benefit. 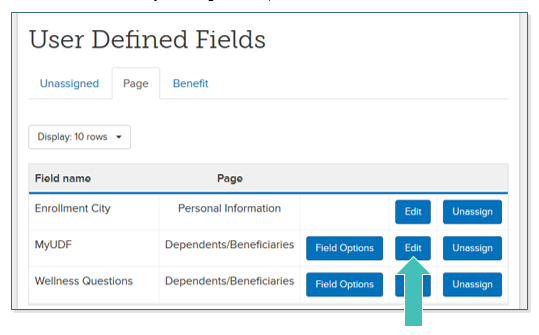 For this example I have clicked on Assign to a Page since the UDF for this example was assigned to the Spouse Information page in benefitsCONNECT. Once inside the Assign to a Page dialogue box, you will need to choose which bCEnroll page you would like to display your UDF. There are five page options: Welcome, Consolidated Enrollment, Personal Information, Emergency Contact, Dependents/Beneficiaries. Select the option of your choice and click Save. Once saved you will be taken back to the original UDF page, and your UDF will now appear under the UDF category tab (Page or Benefit) you selected. You should also see a green notification Successfully Assigned confirming your previous assign action. Proceed to the tab that you assigned it to, and click Edit. Once you have verified your UDF settings, click Save. You will be taken back to the original UDF page, and will see a green confirmation Successfully Saved as an indication of completion.